To improve energy efficiency and meet environmental regulatory requirements for small and midsize boiler markets, Emerson introduces the Rosemount CX1100 in-situ oxygen analyser, the first high-performance, zirconia cell-based combustion control system designed for these users. The new system offers the ease of use, economy and simplified maintenance they require for flue gas measurement. 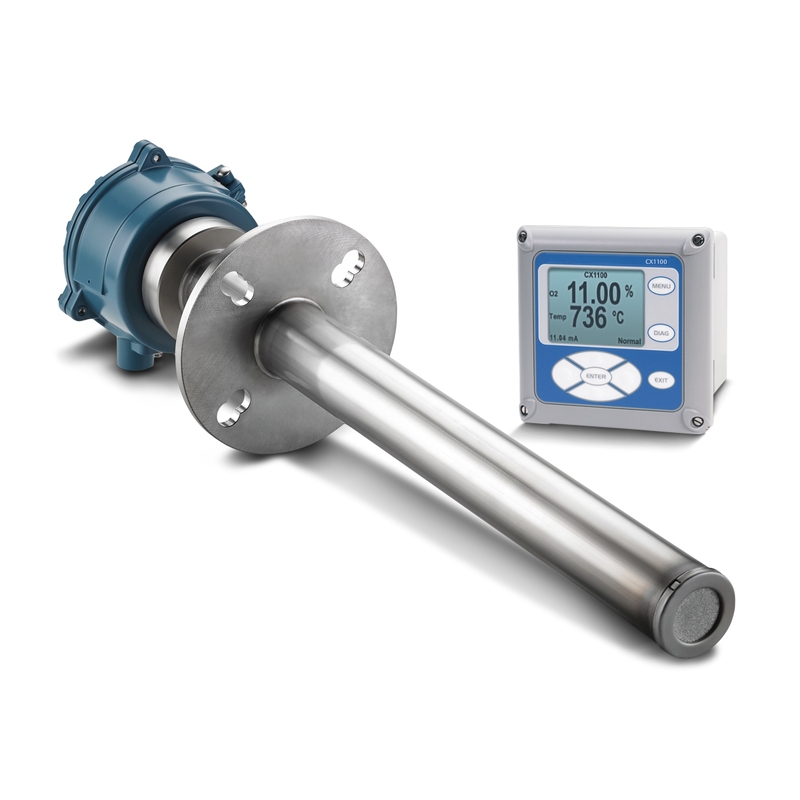 It features the same sensor reliability found in large industrial technology, but the system is built to the requirements of boilers used in such applications as food and beverage, manufacturing, commercial, and municipal. With increasing environmental requirements, users of light industrial and commercial boilers are faced with escalating compliance demands that increase the need for measurement and control of the fuel-air ratio, which optimises energy efficiency and reduces emissions. Many small to midsize boiler users currently do not measure oxygen in combustion flue gas, leaving themselves open to regulatory as well as energy inefficiency problems. With the Rosemount CX1100, it is now economically feasible to bring high quality and repeatable zirconia technology to these markets. The lifespan of the sensor resulting from the zirconia sensing cell and the all-welded probe gives users and OEMs the quality and reliability they need. At the same time, the system offers an easy-replacement design that enables simplified post-warranty service. The combustion control system requires no reference gas, which keeps installation and maintenance costs low, a significant benefit for commercial and light industrial users with boilers that are sizes 10-100 MMBtu/h (3-30 MW).